Southern California is sandwiched between two tectonic plates with an ever-shifting boundary. Over the last several million years, movements of these plates have dramatically reshuffled the Earth’s crust to create rugged landscapes and seascapes riven with active faults. Movement along these faults triggers earthquakes and tsunamis, pushes up mountains, and lifts sections of coastline. Over geologic time, beaches come and go, coastal bluffs retreat, and the sea rises and falls. Nothing about Southern California’s coast is stable. 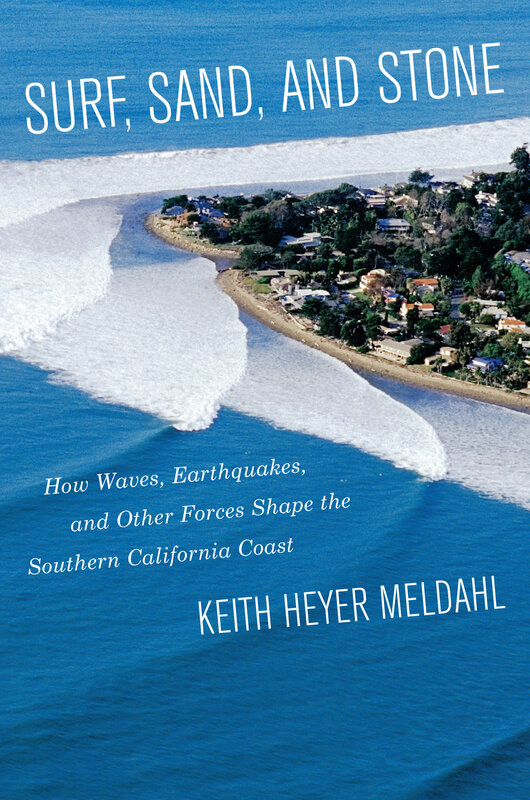 Surf, Sand, and Stone tells the scientific story of the Southern California coast: its mountains, islands, beaches, bluffs, surfing waves, earthquakes, and related phenomena. It takes readers from San Diego to Santa Barbara, revealing the evidence for how the coast's features came to be and how they are continually changing. With a compelling narrative and clear illustrations, Surf, Sand, and Stone outlines how the coast will be altered in the future and how we can best prepare for it. 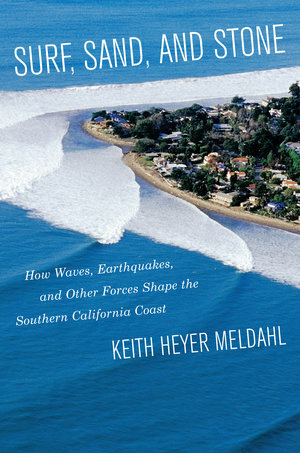 Keith Heyer Meldahl is Professor of Geology and Oceanography at Mira Costa College and the author of two popular books, Hard Road West and Rough-Hewn Land (UC Press, 2011).